The Film Club of Southville International School listens to FMA animation head Micmic Fernandez, foreground, as he demos Maya, the industry standard in 3D Animation. CEBU CITY, Philippines — The Film Club of Southville International School and Colleges Manila flies to Cebu for a filmmaking workshop at Film & Media Arts International Academy (FMA). 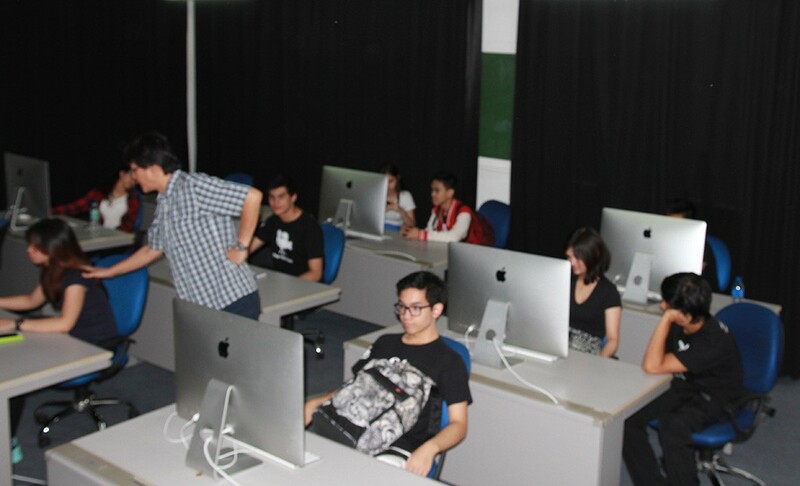 Headed by their president Jian Romano, the Film Club members will undergo an intensive 9-day filmmaking workshop. In the short time that the Film Club members are at FMA, they will learn the basics in storyboarding, screenwriting, cinematography, directing, producing, production design, and editing. They will get their hands on FMA’s top industry-grade filmmaking equipment that includes the Black Magic cameras. They also get to use FMA’s well equipped Editing Lab, Design Studio and Shooting Studios. Also joining them is Film Club member Diana Angela Chua from the College of St. Benilde.